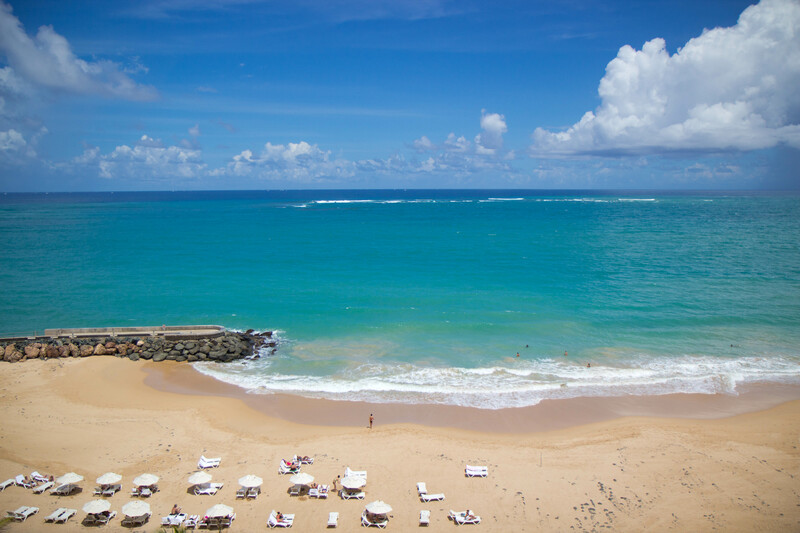 just another gorgeous day in Puerto Rico! Ahh…. our beach day. After our grueling yet extremely worth it day yesterday, it was definitely time for some much needed R&R. And thankfully, Mother Nature complied by giving us a gorgeous halcyon day with vivid blue skies scattered with fluffy clouds, a laser-hot sun for our sunbathers, and no rain in sight (as compared to yesterday when it was cloudy with scattered showers). It was definitely the picture perfect day for lounging around.